POMA honors the industry’s best and brightest annually for excellence in journalism and organization service. 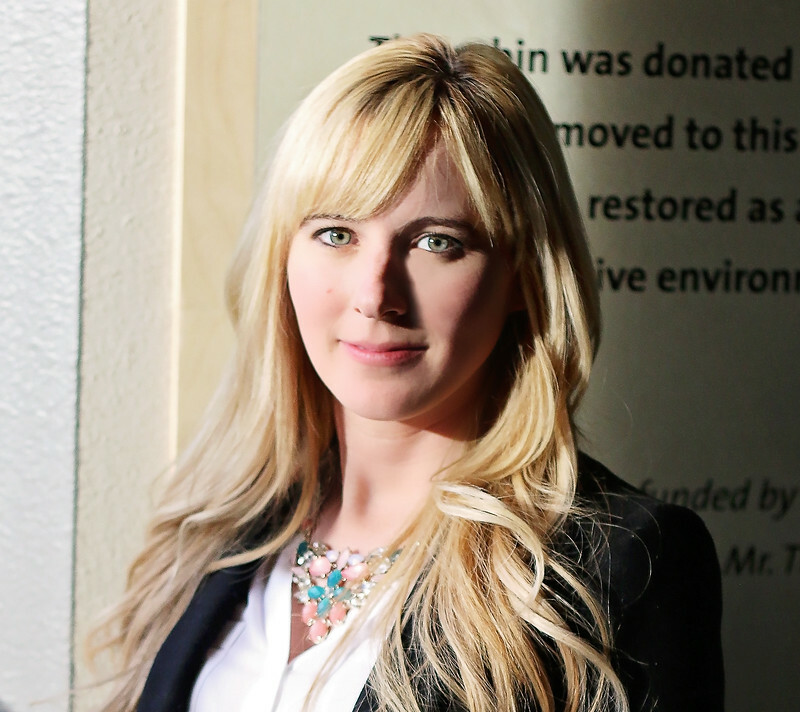 Award honorees set the bar for journalistic achievement and volunteer service. Winner – Ken Cook, “Wild Country: True Stories From The Great Outdoors”, BookLogix – Alpharetta, Ga.
Pinnacle Award Winners (L to R): Bill Miller, Lindsay Thomas, Jr., Kenneth Cook, and Steve Finch, accepting on behalf of Corey Holtgard. 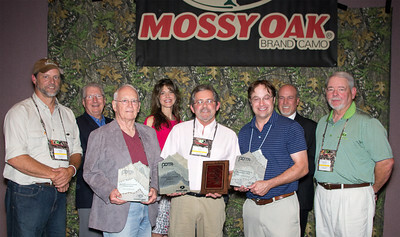 Pictured with Kevin Tate of Mossy Oak (second from right). L to R: Back row: Toxey Haas, Tom Gresham, Karen Mehall, Jim Lewis, Ronnie “Cuz” Strickland. Front Row: John Jefferson, Tom Tatum, Darren Warner. Winner – Richard Bernier, “Two Fawns Feeding”, Deer & Deer Hunting magazine. Winner –Lindsay Thomas Jr. – “Deer Cameras: The Science of Scouting” published by the Quality Deer Management Association. Winner – Tom & Ryan Gresham, Gun Talk TV – America’s Rifle broadcast on Versus. Winner – Kevin Reese, “Finding Your Cheese” published in Navarro County Times newspaper. L to R: John Jefferson, rep for Orion Media, Tom Gresham, Andrew Chamberlain, Kevin Reese, Harry Guyer and Brandon Butler. Winner – Tim Christie, “Bohemian Waxwing in Flight” published in Wyoming Wildlife. Winner – John Jefferson, “The Ballad of Billy Sandifer” published in Texas Parks & Wildlife magazine. Outstanding Achievement – Steve Pennaz, “Silent Invaders” North American Fisherman, broadcast on Versus. Russell Bailey receives the Emerald Cornerstone Award from Mike Capps of Howard Communications. 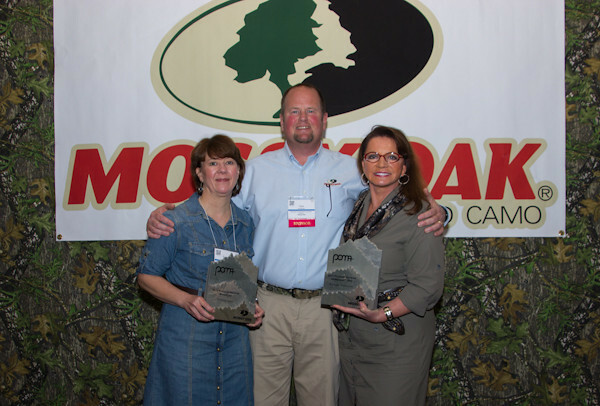 Nominate a journalist for the Fred Bear Archery & Bowhunting Communicator Award. 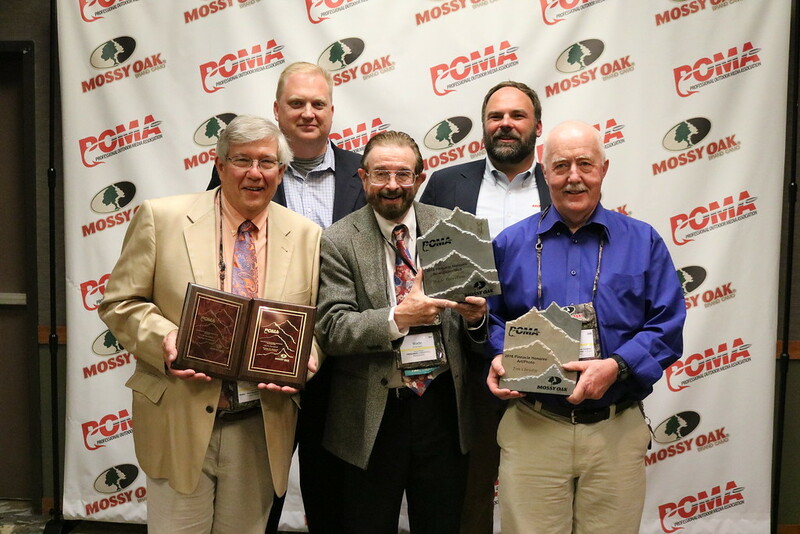 Nominate a journalist for the Grits Gresham Shooting Sports Communicator Award.